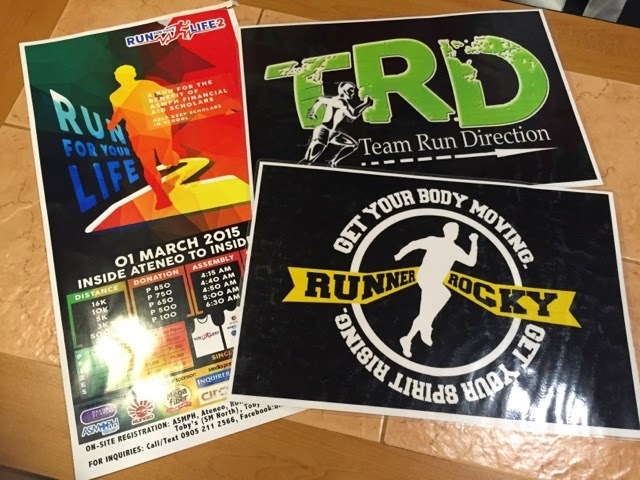 Home / Ateneo / logos / Run for Your Life / Run for Your Life 2 / Running Team / scholars / Team Run Direction / TRD / Runner Rocky and TRD for "Run to Your Life 2015"
The premiere running and fitness blog Runner Rocky and the vibrant running group, Team Run Direction will once more merge forces to support the scholars of Ateneo Universities via the upcoming Runrio's "Run for Your Life 2". 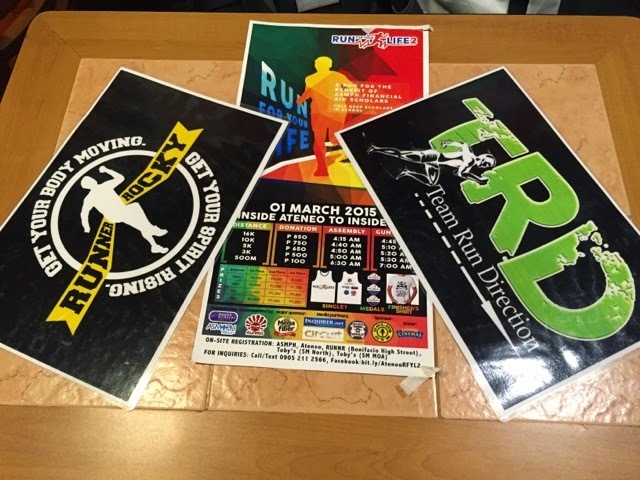 The said exciting run will be on March 1, 2015 on the running grounds of Ateneo and UP. Just this night, February 12, 2015, a Bloggers Night was conducted in Shakey's El Pueblo, Mandaluyong City where details of the events were discussed.